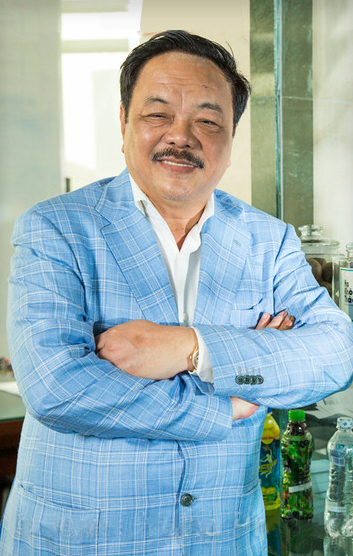 I am Dr. Thanh Tran and I sincerely welcome you to Tan Hiep Phat Beverage Group (“THP”). At THP we have been on a remarkable journey to reach where we are today from our humble roots of making yeast and then sugar to today focusing on creating healthy and artificial preservative free beverages. THP is the leading privately held FMCG company in Vietnam and we are proud to have built this increasingly international group in our home country. Our business has grown today to creating, manufacturing and selling 12 different brands. We have three national brands. These are Dr. Thanh Herbal Tea, Zero Degrees Green Tea and Number One Energy Drink. We sell our products across Vietnam and overseas to 16 countries. I myself and THP are proud to be Vietnamese, to employ over 4,000 staff across our factories and offices in our country, and to have our headquarters in Binh Duong, Vietnam. We make ongoing investments into researching new ways to serve our consumers better. Our factories are home to state of the art technology including ten aseptic lines, PET manufacturing systems and both hot and cold filling lines. We are passionate about our products and continuously strive to create new and exciting products for our consumers. We believe that it is critical for our family and our employees to make a lasting contribution to our communities, particularly young people, so that the next generation has as many opportunities as possible. My daughter Phuong drives a lot of our corporate social activities which include a wide variety of initiatives from bridge building for local communities, to creating sport opportunities for young people, to sharing our Vietnamese arts & culture with the world. Let’s drink to our future together, as we continue to invest in and create a better world for the next generation with passion, creativity and energy.